high efficiency of design, automated production technology resulting in remarkable low price, versatility in the selection of unit depth and capacity, in addition to its ready-to-paint smooth soffit as well as its high quality and durability. The automated manufacturing process uses a combination of dry mix concrete and shear compaction, which considerably reduces the consumption of water and concrete if compared to conventional process. 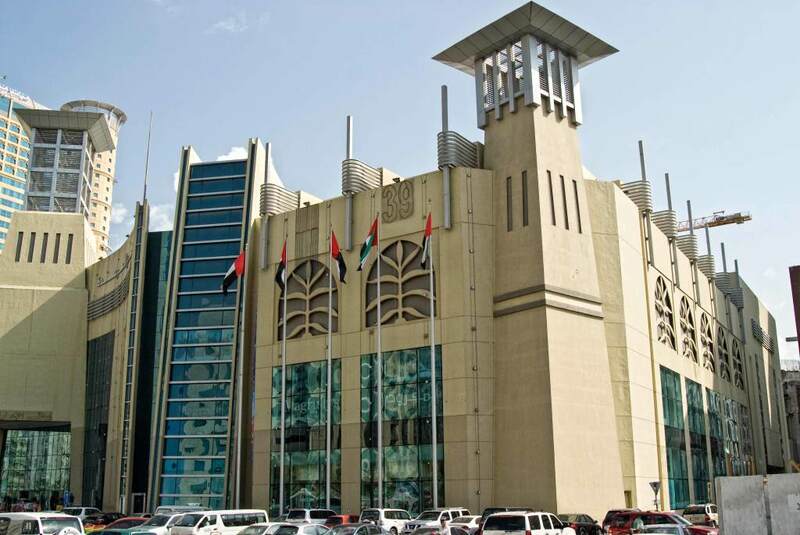 This key sustainable advantage is recognized by governmental authorities (such as Dubai Municipality, Abu Dhabi Municipality, and Estidama / Leed). 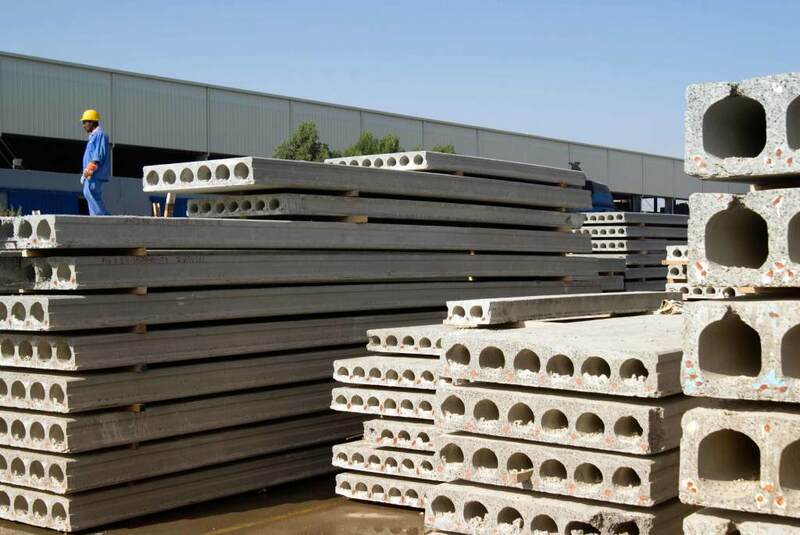 Hollowcore is manufactured using long line extruders which form continuous cores running through the slabs. 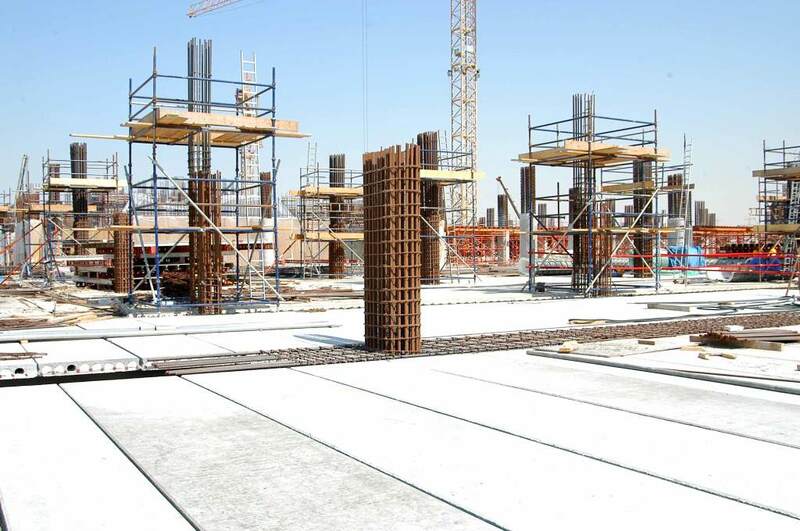 The primary purpose of these cores is to decrease by 40% to 50% the weight of the slabs, which leads to significant savings in the rest of the members of the building construction. They are also used as pre-existing conduits to place electrical cables and pipes, thus reducing even further the overall construction time. 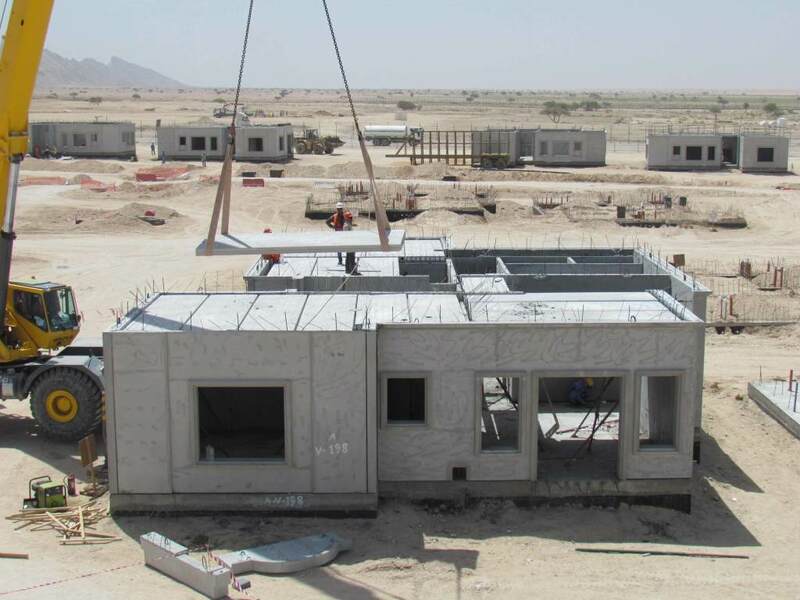 Hollowcore slabs from Gulf Precast are used horizontally in all type of structures such as villas, buildings, commercial and industrial structures, hotels, schools, shopping centers. They may even be used vertically, as wall panel partitions, in industrial structures or in boundary walls. Remarkably lower price compared to other systems. No need for propping and scaffolding. High strength, lightweight, durable structure. Preexisting longitudinal holes that can be used as conduits. Automated production under strict Quality and Safety Control. Under side immediately ready for following trades. Speed and ease of construction. 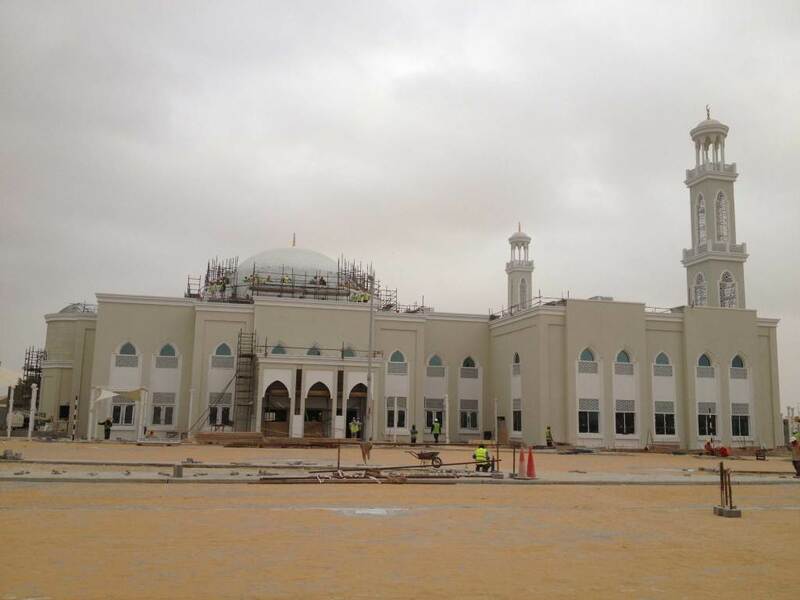 To further increase their strength, the slabs are reinforced longitudinally with a number of wire steel strands (the number and diameter of which are calculated during the engineering stage), which are prestressed for optimal resistance. 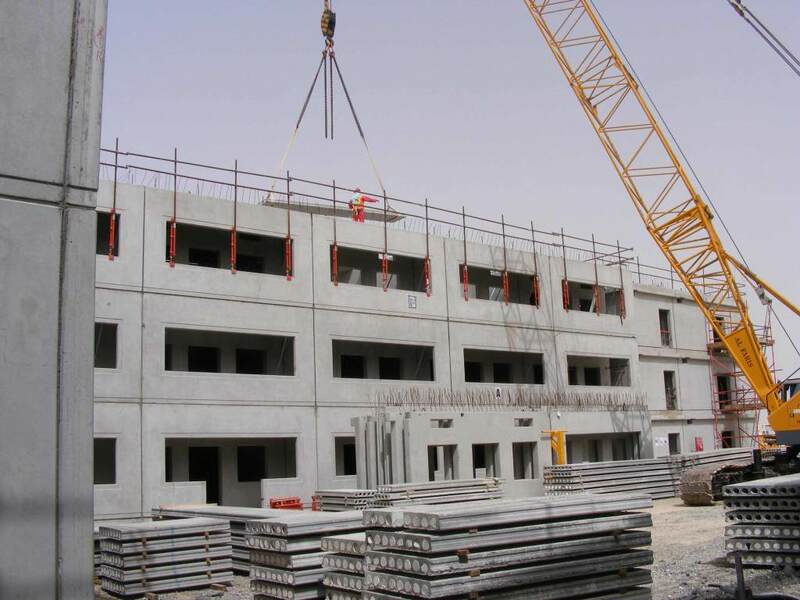 Hollowcore is the product of choice in structures that require sound barriers between floors, excellent fire and earthquake resistance, heat insulation characteristics, long spans, and is therefore widely used in hotels, schools, multi-storey car parks, high rise buildings and upscale residential and commercial complexes. 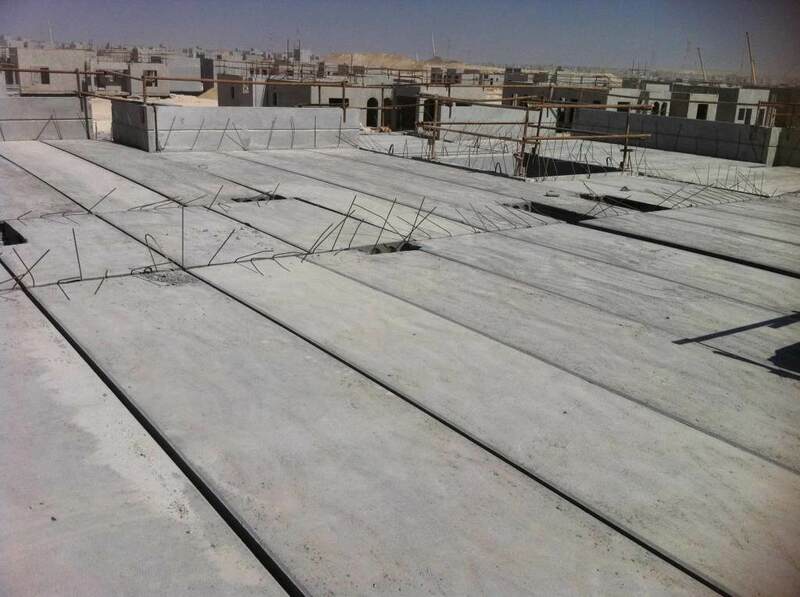 150, 200, 265, 320, 400, 450 and 500mm slabs. The longest span can reach up to 18m. 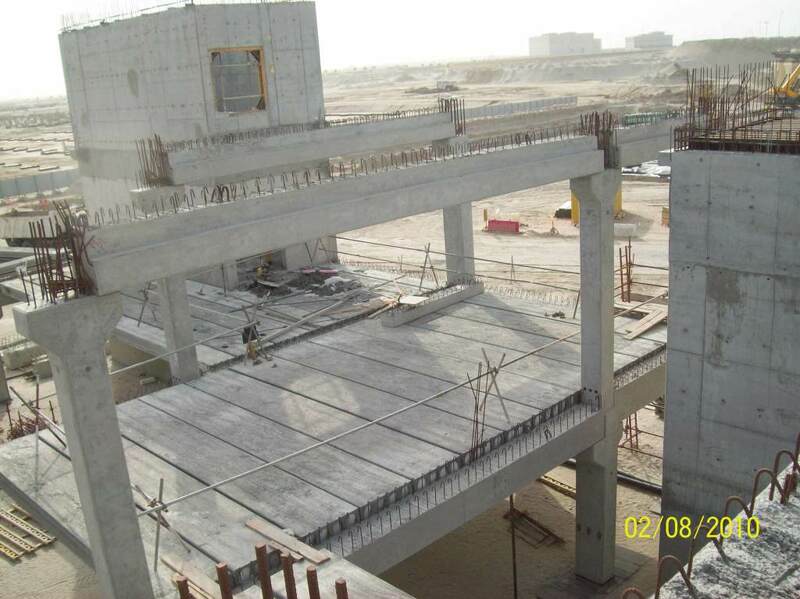 Hollowcore erection at Emirati Housing Development, Jebel Hafeet, Al Ain.